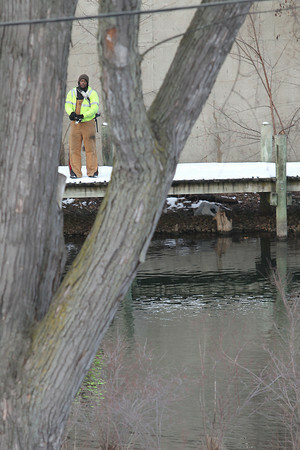 Ian Lee of Traverse City fishes for steelhead on the Boardman River Monday near the Post Office. Lee, a private violin instructor, said he's caught about 20 steelhead this season in various spots on the Boardman and in Elk Rapids. "I've caught a fish just about every day, so you can't complain about that," he said. "As long as I bring something home, my wife doesn't mind."